The incident occurred in the village of Meerut. Violence triggered by a quarrel after the death of three young men who cleaned the cistern in a slaughterhouse. Christian leader: "We pray for the young deceased and their families. But the attack is just another incident against Christians in the state ". Mumbai (AsiaNews) - A Pentecostal Christian pastor of Uttar Pradesh and his son were savagely beaten by an angry mob of radical Hindus "dressed up" as animal lovers. The Christians were attacked for driving a stray dog from the entrance of a church, triggering the violent reaction of about 30 people incited by an animal rights activist. 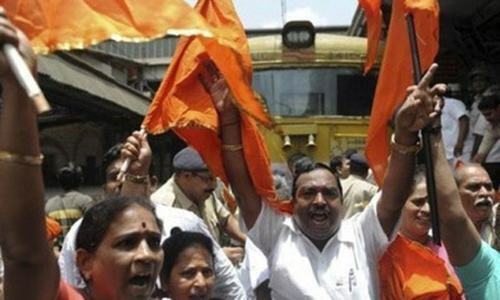 The incident, although apparently a simple local dispute, is a symptom of a growing climate of intolerance towards the Christian minority in the Indian state and, more generally, throughout the Union. 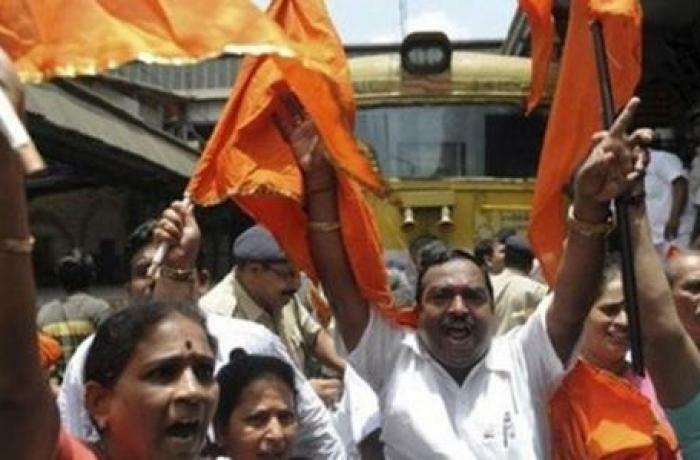 Sajan K George, president of the Global Council of Indian Christians (GCIC), told AsiaNews: "In Uttar Pradesh there is no sign of intimidation towards vulnerable Christians stopping". The incident occurred in the village of Meerut and was reported by the online newspaper Times of India. The altercation between the animal lover and the two Protestants took place on 19 July, while the aggression took place the following day. According to the Rev. Sumer Samuel, 46, the dog question "was just a pretext. The mistreatment continues in one way or another. The incident occurred on Thursday [19 July] when I went to visit the families of three youngmen who died while cleaning the cistern of a nearby abattoir ". The pastor continues the story and claims that "Suresh Kumar, a villager, began to argue with my eldest son Abhinav because he wanted the dog out of the church. The actual attack took place on Friday morning [20 July] when about 30 people, returning from the cremation ceremony of the three boys, entered our house and attacked my wife and I and beat my son. " According to a villager asking for anonymity, the version of events would is different. "The eldest son of the pastor - he told the Times of India - used inappropriate words against our deities. This led to the explosive situation. The story of the dog had already been resolved the day before. " For Sajan K George, "the feeling of the local inhabitants was well understood after the death of three young people all 20 years old due to the inhalation of poisonous gases. But the incident only shows that the Pentecostal Christian community is an easy target for anyone who wants to vent their frustration and launch unfounded accusations. " Then he concludes: "The GCIC expresses his condolences for the death of the boys and prays for the relief and consolation of their families. But the attack against the pastor and his son is nothing but the latest incident against the Christians of Uttar Pradesh ".